CUDA-Z 0.7.189 is out at 2013.10.02. 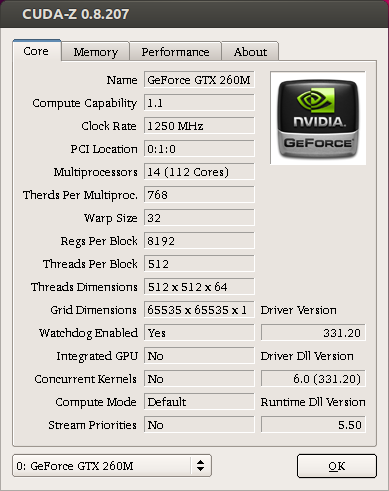 Fix performance display for GTX TITAN (Bug: 15). 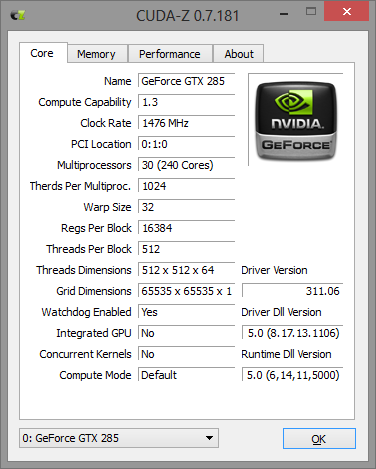 CUDA-Z 0.7.181 is out at 2013.05.02. Better support of Windows 8. Number of fixes for Linux and MacOSX. Multiple bugfixes for all platforms. 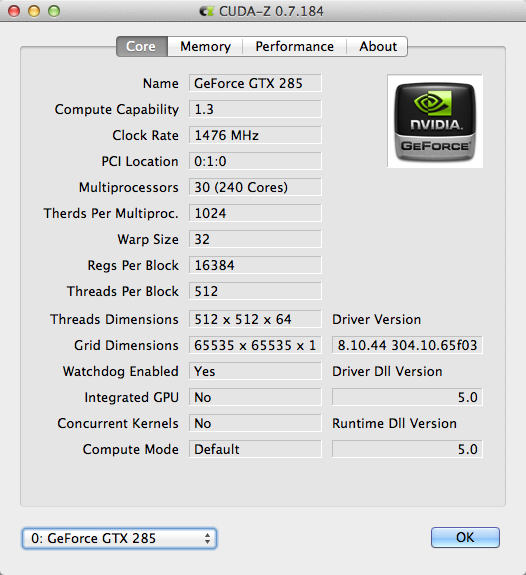 Update: Mac users might need to update CUDA 5.0 driver for Mac to run CUDA-Z 0.7.181. As far as CUDA 5.0 supports only Mac OSX 10.7 and 10.8 the new version of CUDA-Z is not able to run under Mac OSX 10.6. For those who runs Snow Leo on their Mac’s it’s recommended to use CUDA-Z 0.6.163 instead. Update2: Several Mac users have reported that CUDA-Z 0.7.181 for Mac does not run OK (bug 12 and 13). I’ve prepared beta 0.8.183 with fixes for this problem. Please download this beta version and confirm it runs better. Thanks in advance!